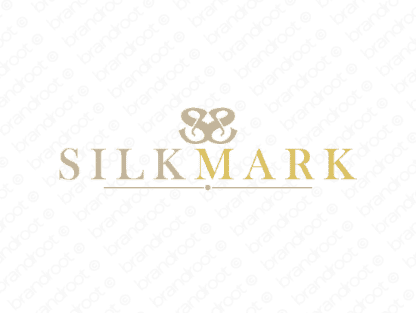 Brand silkmark is for sale on Brandroot.com! A sleek name fusing "silk" and "mark" that conveys high quality, refinement and credibility. Silkmark is a global brand eminently suited high-quality fashion labels and luxury design products. You will have full ownership and rights to Silkmark.com. One of our professional Brandroot representatives will contact you and walk you through the entire transfer process.